"When I asked a police chief that why are you doing injustice to people, the officer replied that he did not get posting during Samajwadi party’s regime, and it was the reason," he said. 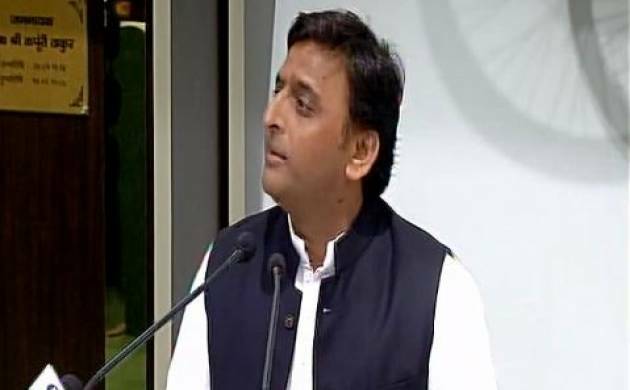 Former Uttar Pradesh chief minister and Samajwadi Party president Akhilesh Yadav on Thursday attacked Uttar Pradesh government, alleging that the state police is involved in extorting money for the BJP-led government. Akhilesh said police is doing injustice across the state. The former chief minister questioned about law and order in the state, saying that a girl was stabbed to death in Ballia. He said all districts in the state are facing law and order problem in the state. Akhilesh said the government has itself accepted that corruption prevails in Dail 100. When asked about his participation in Lalu Prasad's rally, the Samajwadi Party president gave his affirmation for the rally.